Congestion pricing should get many drivers thinking about the true cost of owning and operating a car in the U.S. out of their single-occupancy vehicles and into public transit or shared vehicles. 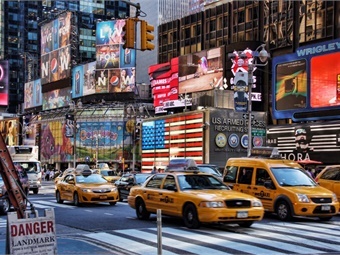 The Federal Highway Administration says, “There is a consensus among economists that congestion pricing represents the single most viable and sustainable approach to reducing traffic congestion.” Since adding more roadway lanes in or around city centers is very difficult, and highways are facing increasing demand, it makes sense that charging a premium to use limited roadways will reduce congestion. But does congestion pricing only help the rich? At face value, the “haves” can afford to pay to drive in a less-congested toll lane, while the “have-nots” are stuck in traffic. Yet moving vehicles out of the congested lanes into toll lanes decreases congestion in the “slow” lanes, and when more people choose to share rides and take transit versus pay a fee, everybody wins. Revenue goes toward maintaining and increasing the efficiency of public highway systems in addition to the billions of dollars already invested in our street and highway systems, infrastructure, and parking. Congestion pricing should get many drivers thinking about the true cost of owning and operating a car in the U.S. out of their single-occupancy vehicles and into public transit or shared vehicles. Letting others pay for the pleasure of driving in the fast lane will result in greater investments in public transit and when paired with the Green New Deal will help address climate change and renewable energy. Congestion pricing will be the foundation for making the transition from a car-worshipping society to a car-less society that is good for the environment and our mental health. It can be one of several tools that governments and private entities employ to improve mobility for all. 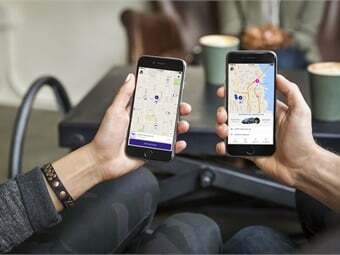 TNCs, including Lyft and Uber, are diversifying their offerings. How do we support both the “haves” and the “have-nots” as transportation continues to evolve and fewer people own vehicles? Mobility as a Service (MaaS), integrating modes of transportation, is another way to improve mobility equity. Rail lines, bus rapid transit, and high-usage bus lines need improvement. These high-ridership lines will continue to move the highest volume of people throughout the urban core. Look at the sheer number of travelers who cross the San Francisco Bay Bridge, New York’s Brooklyn Bridge, and travel throughout the Los Angeles city center. 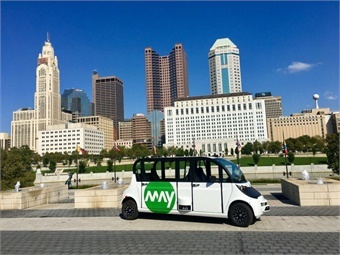 Connecting transportation choices with public transit at the center of MaaS encourages greater use of transit and allows for transportation innovations that may come and go and can help sustain the system. For example, the transit industry as a whole is facing a driver shortage, from public transit to transportation network companies (TNCs) to delivery services. This labor shortage has people leaving rural areas to drive in urban centers as professional drivers or TNC contract staff, which puts more cars on the road. The current TNC model is not sustainable. Both major ride-hailing organizations are losing money. The investment community is no longer excited and is losing interest in the 2019 IPOs. Uber is diversifying into other areas of delivery and mobility to slow the losses. What happens after Uber changes or goes away? A new type of transportation organization could emerge to improve MaaS for all. AV shuttles and other vehicles serve as much-needed first-/last-mile solutions for access to transit. Backed by public advocates, governments, and businesses will need to set policies and work together to move forward the development of new technologies including electric and autonomous vehicles (EV/AV). According to Amos Haggiag, local governments and agencies are already funding the addition of electric buses to fleets. His top prediction is that more electric buses can be expected in the U.S. and Europe. AV shuttles and other vehicles serve as much-needed first-/last-mile solutions for access to transit, including commuter rail, but cities and transit agencies must learn how to manage AV pick-ups and drop-offs from TNCs or other private mobility providers. How will cities regulate their streets and curb space? Transit agencies, airports, hotels, and convention centers face similar issues around stations and feeder lines. Will state and local governments tax all vehicles or charge for vehicle miles traveled? 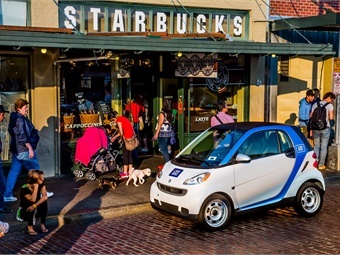 There is time to work out EV/AV policies and logistics. We are years, if not decades, away from reaching fully automated AVs or Level 5 driving (fully autonomous self-driving), so like paper and cash, drivers are not going away in the short term. Many people do not understand AV technology and are scared of the unknown. The New York Times article “Wielding Rocks and Knives, Arizonans Attack Self-Driving Cars” makes this case. Alternatively, at a recent AV conference in Palo Alto, Alex Epstein of the National Safety Council stated that 40% of Americans believe they can buy a car today that can drive itself without safety drivers. The general public needs educating about transportation advances. A little education will go a long way toward greater acceptance of mobility options that can improve transportation for all. Justin Erlich of Voyage also commented that senior citizens will lead the AV revolution. The app GoGoGrandparent lets those without smartphones use TNCs. Early AV adoption is expected in gated retirement communities that have simple street layouts, less traffic, and great weather, such as Arizona, California, Florida, and Texas. Homeowner association members will have the option to increase their monthly dues to pay for this service. Even if retirees get on board with AV/TNCs, mobility for all will not come overnight. Being stuck in traffic, greater vehicle ownership costs, and loss of productivity will continue to try our patience before significant transportation transformation occurs. By working in tandem, congestion pricing, MaaS, and policies that support transportation for all people will result in better public transportation infrastructure, more egalitarian access to transit options, affordable or free services, and a healthier environment. Walter Allen, president and CEO of Acumen Building Enterprise Inc., is an infrastructure consultant. Transit agencies don’t need to wait for fully autonomous vehicles to become a reality before they can begin saving money, augmenting safety, and enhancing efficiencies in their bus operations.